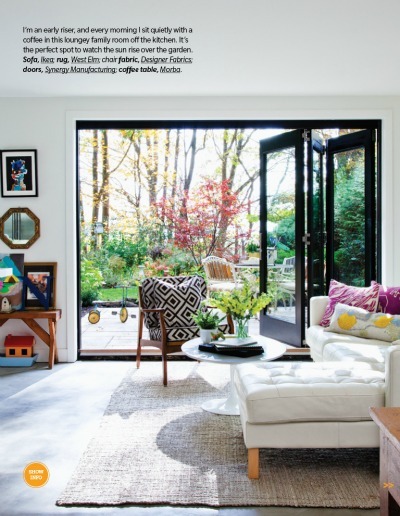 When I came across this Toronto home the other day in Canadian House & Home it made me reconsider my current plans to paint my walls anything but white. 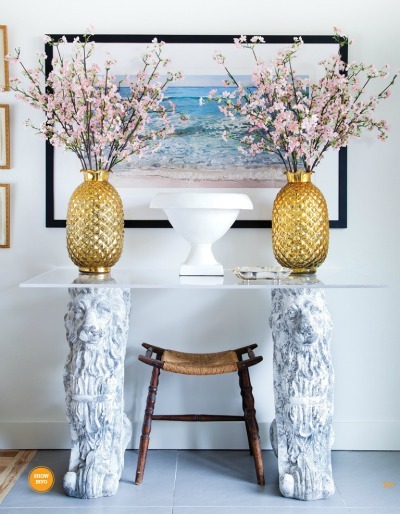 The homeowners turned an outdated lakeside bungalow into a bright and airy family home; keeping the walls neutral and adding interest and vitality through colorful and textural furnishings. 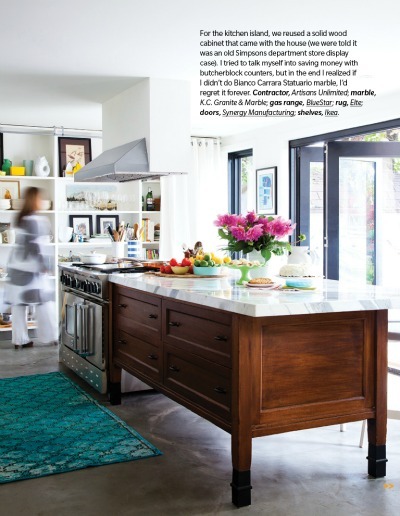 I can't even talk about this kitchen island. I just have no words to describe the beauty. 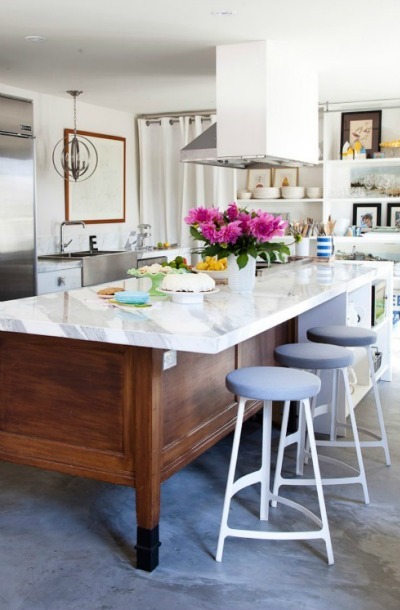 The homeowner mentions that she almost talked herself into using butcherblock instead of the marble to top the antique counter as a money saving option. I am so glad she didn't, it would have been a travesty! 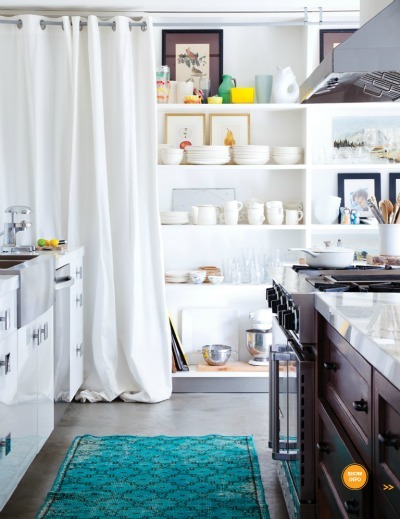 Floor-to-ceiling built in shelving makes up the entire east wall of the kitchen. Perfect for storing everything from coffee mugs to mixing bowls to cookbooks. Leave the white curtains open for a relaxed style or pull them closed when a more polished kitchen style is needed.